Tucked away in a mini-mall on Coolidge Highway is a hidden fashion gem. Leyton’s of Oak Park is a fashion-forward boutique that offers trendy and affordable pieces. This fashion hot spot is a one-stop shopping experience – styling you from head-to-toe in apparel, shoes, handbags, jewelry, hats, belts, scarves, etc. For the woman on the go, this is certainly music to her ears. Another stellar aspect of this boutique is the wide variety of styles they offer – from classic to edgy and casual to formal – allowing you to effortlessly mix and match to your liking. With summer fastidiously approaching, I’m on the hunt for the perfect summer essentials – shorts, maxi dress, romper, high-low dress, bold patterns, black and white. Luckily, Leyton’s fulfilled all my aforementioned style needs and then some! With that said, I’ve styled my favorite looks and trends suitable for every occasion: casual chic, weekend chic and date night chic. Shorts are the ultimate summer style staple. They are perfect for a day at the beach or just strolling around the city. 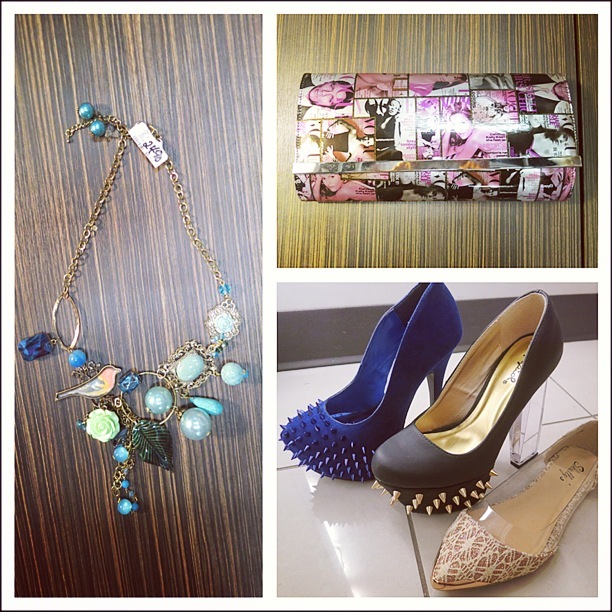 In choosing a pair, opt for floral and/or pastels to brighten up your wardrobe. The level of casualness is determined on what accessories you style it with – a clutch will dress it up a notch. 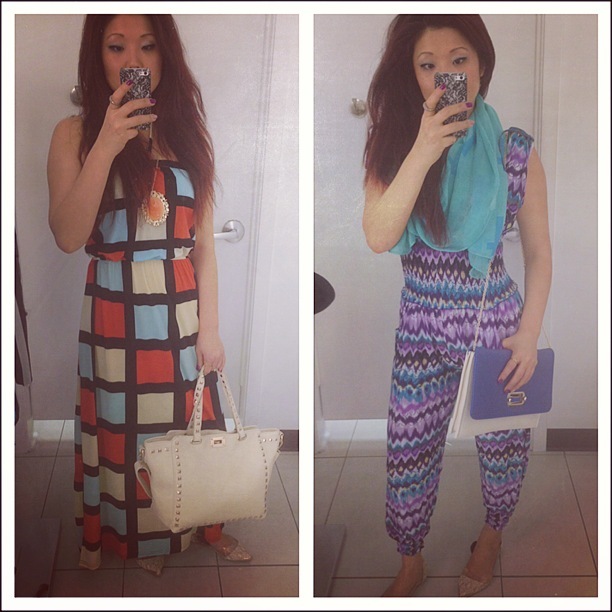 Bright, bold colors and patterns are beautifully displayed in a maxi dress or a playsuit. Either option is ideal for an afternoon at the art museum, lunch with the ladies, or shopping and a daytime stroll in the park. They are also fantastic transition pieces for day-to-night (suitable for dinner and a cocktail). 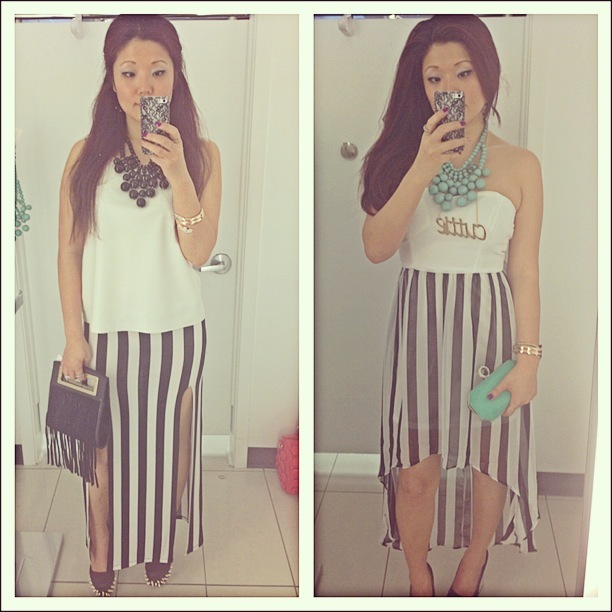 Black and white is all the rage for this season and what better way to display it than a night out on the town? Whether you wear it to a “T” following suit to the color palette or add a splash of color to the B&W chroma scheme, you will definitely turn heads in either one of these outfits! As an added bonus for shopping at Leyton’s, make sure you enter their Instagram “Strike a Pose” photo contest in order to win a gift certificate to the store. To enter the contest, you need to: follow @shopleytons on Instagram, post a photo of yourself sporting your Leyton’s purchase and hashtag #Leytons to your photo. Contest ends June 19th, which means you have a couple of days left to enter. 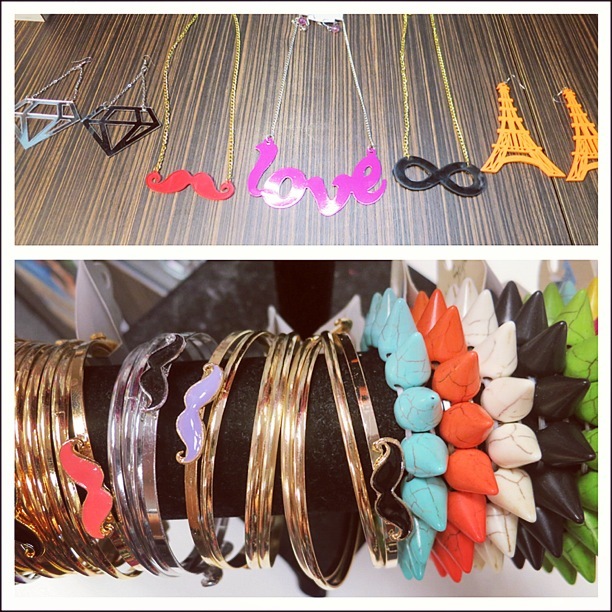 Quite frankly, it’s the perfect excuse to come check out this super chic store!